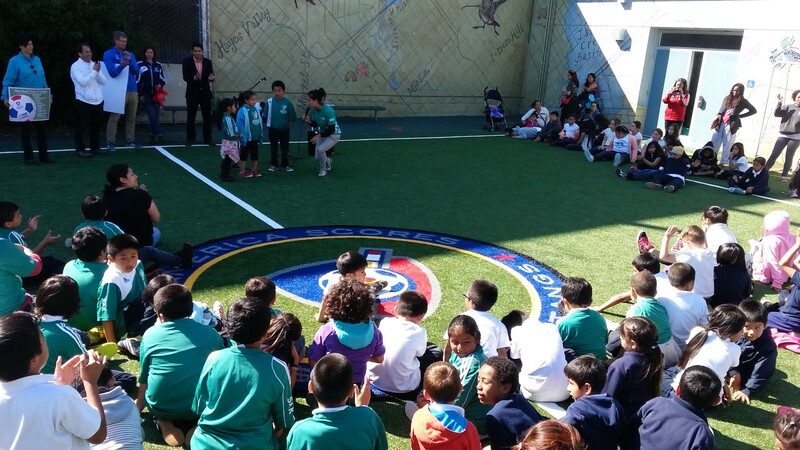 Marshall Elementary received an amazing GrassTex™ field to play on thanks to Colin Schmidt and the generous folks at the amazing nonprofit America Scores Bay Area. America Scores is busy transforming urban, asphalt playgrounds into safe, green fields for children from all walks of life to run and play on. Without the assistance of America Scores Bay Area, Marshall would not have the beautiful field they have today. It truly is an organization that is all about the children. Marshall is a small community school dedicated to providing a strong curriculum and is a K-5 Spanish Two-Way Immersion program. They place a strong emphasis on the opportunity for its students to become bilingual and bi-literate. 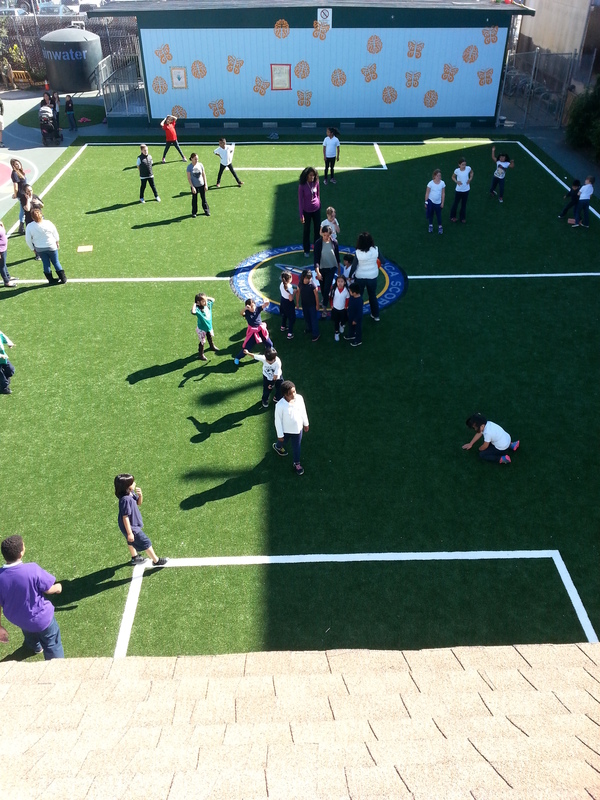 Their new field is without a doubt going to benefit the school and the children with a wonderful, safe place to play. america scores, artificial grass, marshall elementary.